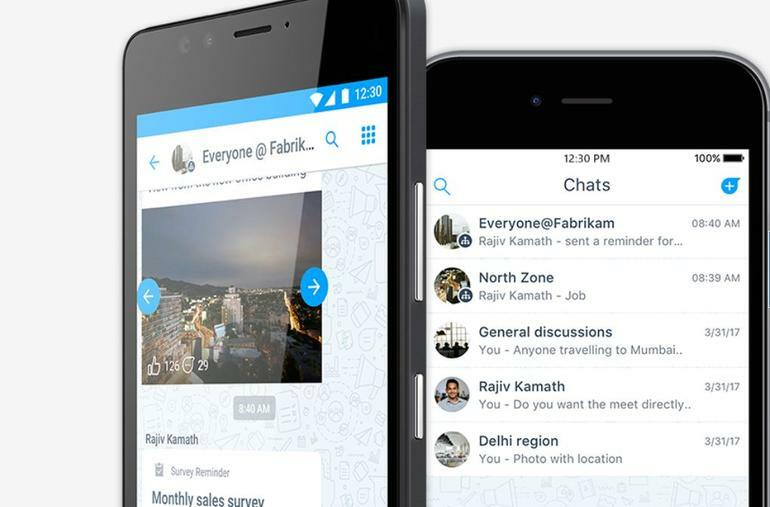 Microsoft’s “Kaizala” app — which began as a Microsoft Garage incubation project — started out as a productivity tool specifically for the Indian market. Since then, Microsoft has started broadening its distribution and is making the “Pro” version of the app part of the Office 365 commercial plans worldwide for no additional fee. Kaizala is somewhat similar to Facebook’s WhatsApp, in that it provides free wifi messaging among mobile devices. It allows customers to create group chats among specific departments and teams. There’s no video calling included as part of Kaizala. Kaizala relies on Azure as its backbone. As AvePoint and others have noted, there are a lot of Microsoft collaboration tools that overlap, and Kaizala is one more to add to the mix. Maybe we’ll see a new variation of the inner loop/outer loop diagram attempting to explain all this? This year, Microsoft began positioning Kaizala as one of its applications targeted at firstline workers, meaning those “deskless” employees working on the front lines in retail, customer support and other industries. Other products and services with which Microsoft is targeting firstline workers include Microsoft 365 F1, its Teams group-chat service and Windows 10 in S Mode. More information about Kaizala is available at microsoft.com/kaizala. Administrators should note that Kaizala will be off by default; administrators will have the option of turning Kaizala on once it is rolled out to their organizations.